Iwata's Sprint Jet is a great compressor for the occasional and professional artist doing general airbrush applications. The Sprint Jet is powerful, compact, reliable, and quiet. This compressor has a maintenance-free, oil-less, piston motor, with an on/off switch. A moisture filter prevents pulsation. A mounted air pressure gauge allows a working pressure up to 35 psi. 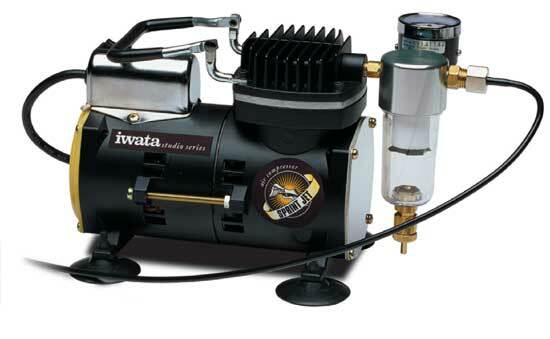 A high strength polyurethane air hose is included, which fits all Iwata airbrushes.